$2.99 (reg. $12.99) from NOW til May 31! Free App Friday - 26th May 2017 - it's a cracker of a list today! Free App Friday is sponsored by Tom the Tow Truck: Drive in Car City. Some great apps on today's post, including one that I personally use several times daily, and have done so for years--it's a visual timer app that is so simple, yet so well made. We also have a 'Grand Poobah-rated' Top Pick, a 4 Star math app, a Speech Therapy app, an AAC, an app about seasons, and a package of Ready-Set-Learn apps. These deals won't last, and some prices will go back up on May 26th at 10 p.m. EDT. Download now for the best deals! UPDATED! 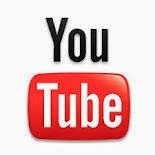 TWENTY favorite YouTube channels for educational songs and more! Every week I do a language lesson with my early childhood and Pre-K friends. The classroom teacher, Mrs. P, plans awesome themes for each week of the year and I try my best to work the weekly theme into my language lessons. I love to incorporate music and a little bit of movement into the large group portion of my lesson. I have several YouTube channels that I use to find songs and stories that are educational and fun. I can almost always find a video that relates well to our theme. I just click share and email the video link to the teacher and we play the videos on her ActivBoard. The kids love it and Mrs P can reinforce and review past lessons by repeating the videos throughout the year. We can also share the links with parents so the kids can enjoy the songs and stories with their families. Check out my TWENTY favorite YouTube channels below and get ready for some seriously fun singing and dancing! You love free apps that have no in-app purchases and so does the staff at Smartappsforkids.com. So here's a list of the current Top 40 most downloaded completely free apps (with no in-app purchases) on iTunes as of March 10th, 2017.